It seems we’ve been wrong about giraffes since, well, forever. The long-necked, charismatic treetop-munching herbivores you’ll remember from childhood trips to the zoo are not, as biologists long assumed, a single species. In fact, they are four. That is the startling conclusion of a first-of-its-kind genetic analysis of giraffes, which finds that populations from different regions of the African continent are as distinct as polar bears and brown bears. As such, they need to be treated as separate species so that their genetic heritage can be conserved. To be fair, subtle differences between different groups of giraffes had been noted before. First described in 1758 by the famed taxonomist Linnaeus (who himself had never seen a giraffe in the wild), the animals have been organized in up to eleven subspecies over the years, on the basis of geographic distribution, coat markings, and those funny, fur-covered head nubs called ossicones. For instance, the reticulated giraffe of Somalia, with its polygonal, liver-colored spots, is easily distinguishable from the Roshchild’s giraffe of Uganda and Kenya, whose patches are less sharply defined. Roshchild’s giraffe, for its part, has similar coat markings to the Masai giraffe of Kenya and Tanzania, but closer inspection of the skull reveals five ossicones instead of the typical three. So Fennessy’s Namibia-based organization partnered with German biologists to conduct the first comprehensive genetic analysis of giraffes. Over the course of nearly seven years, 190 tissue samples were collected from animals across Africa representing the nine currently-recognized subspecies. A suite of nuclear genetic markers and mitochondrial DNA—often used to distinguish different species—were subsequently analyzed in the lab. The analysis revealed four highly distinct species that do not appear to breed in the wild. Two of these species, the Masai giraffe (G. tippelskirchi), and the reticulated giraffe (G. reticulata), correspond to previously-identified subspecies. The other two, the southern giraffe (Giraffa giraffa), and the northern giraffe (G. camelopardalis), encompass several subspecies each. The conservation implications are enormous. The International Union for the Conservation of Nature (IUCN) currently recognizes giraffes (one species) as “least concern,” a designation that some biologists say diminishes the risks these animals face due to habitat loss, illegal hunting and poaching. Of the four newly proposed species, Fennessy believes that at least three should be placed in a threatened category. 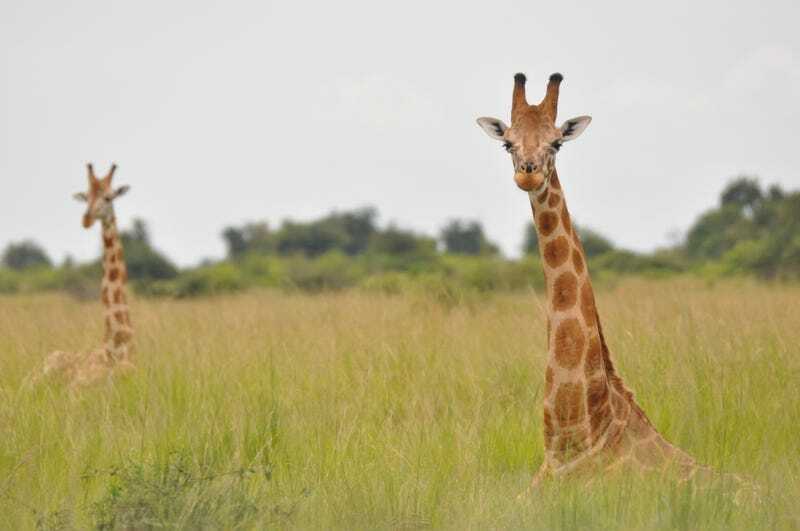 For instance, “Northern giraffe number less than 4,750 individuals in the wild, and reticulated giraffe number less than 8,700 individuals—as distinct species, it makes them some of the most endangered large mammals in the world,” he said in a statement. Zookeepers cam also make use the new genetic insights, whether their goal is to preserve the biodiversity that exists in nature, or simply to educate the public. In many zoos across the world, different populations of giraffes are routinely hybridized. What Are Those Pom-Pom Things On A Giraffe&apos;s Head?